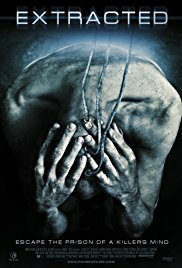 A scientist who has invented a technique to watch people’s memories finds himself in a dangerous situation after he’s tasked with entering a heroin addict’s mind to see whether the man committed murder. A SF like “Inception” and “Source Code“. Only less exciting and rather tedious. The concept is interesting but the execution leaves something to be desired. It’s just a lengthy conversation between a psychiatrist and his patient. Simple subject, long story. For such a brilliant scientist, I find it a tad overdone that he did not take into account the fact that memories can also be conditioned. Would be better if he had read a booklet about Pavlov’s placebo effect. When I’m going to get something to drink during a movie without using the pause button, this would merely say that I’m looking forward to the end. Not a good sign usually.